The nearly 48,000-mi. interstate highway system literally moves the U.S. economy, carrying 75 percent of the nation's heavy truck traffic. A new report finds there is the equivalent of one “structurally deficient”-rated bridge, on average, for every 27 miles of our major highway network. The 1,800 structurally deficient Interstate bridges are crossed 60 million times daily. When it comes to bridges needing attention, however, that's just the tip of the iceberg. 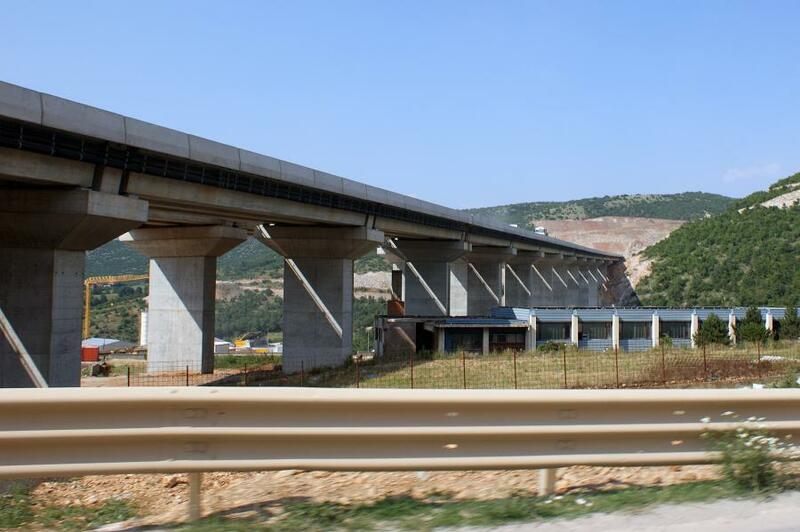 According to an analysis of the U.S. Department of Transportation's just released 2017 National Bridge Inventory database, 54,259 of the nation's bridges are rated structurally deficient. If placed end-to-end, they would stretch 1,216 miles, or nearly the distance between Miami and New York City. The pace of improving the nation's inventory of structurally deficient bridges slowed this past year. It's down only two-tenths of a percent from the number reported in the government's 2016 data. At current pace of repair or replacement, it would take 37 years to remedy all of them, said Alison Premo Black, chief economist of the American Road & Transportation Builders Association (ARTBA), who conducted the analysis. To help ensure public safety, bridge decks and support structures are regularly inspected for deterioration and remedial action. They are rated on a scale of zero to nine — with nine meaning the bridge is in “excellent” condition. A bridge is classified as structurally deficient and in need of repair if the rating on a key structural element is four or below. — fall in the structurally deficient category. 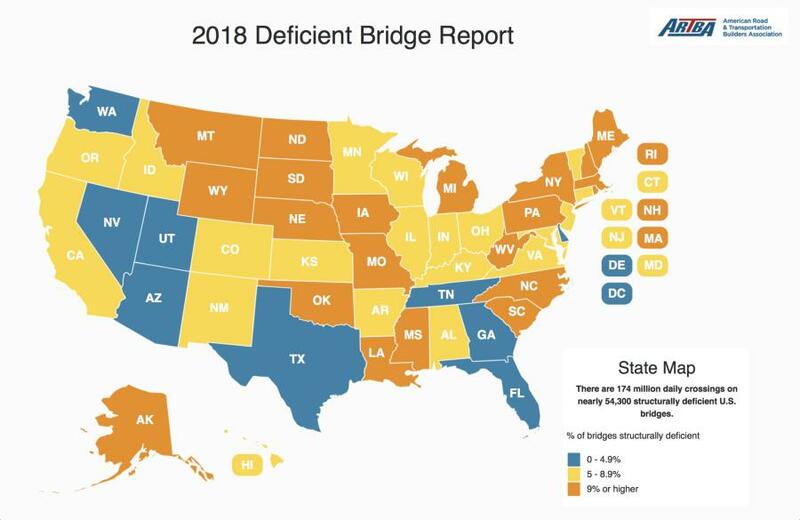 State — and congressional district — specific information from the analysis — including rankings and the locations of the 250 most heavily travelled structurally deficient bridges in the nation and top 25 most heavily traveled in each state — is available at www.artbabridgereport.org.